SanDisk, the Western Digital backed storage company today unveiled three high performance portable storage devices in the Indian market. Termed as 'the next level in flash technology', the new product portfolio comprises of Extreme PRO USB 3.1 Solid State Flash Drive that will be available in 128GB and 256GB capacities at Rs. 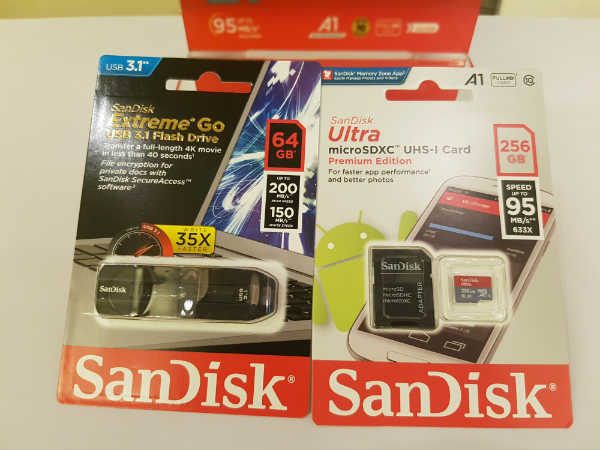 8490 and Rs.13,990 respectively, SanDisk Extreme Go USB 3.1 Flash Drive to be available in 64GB and 128GB capacities at Rs.3,990 and Rs.5,990 respectively and a 256GB SanDisk Ultra microSD card priced at an MRP of Rs.18,990. The Extreme Pro USB devices are now available on Amazon.in and selected retail stores while the 256GB Ultra microSD card will be introduced in retail market starting April 1, 2017. As mentioned, SanDisk is naming Extreme PRO USB 3.1 Solid State Flash Drive as the fastest, high-capacity USB flash drive to date, and SanDisk Extreme Go USB 3.1 Flash Drive as a high-speed flash drive which is up to 35X faster than standard USB 2.0 drives. The SanDisk Extreme PRO USB 3.1 Solid State Flash Drive, the storage device is capable of read speeds up to 420MB/s and write speeds up to 380MB/s. Users will be able to transfer a full-length 4K movie to the drive in less than 15 seconds and 1000 photos in less than 25 seconds. And with read and write speeds of up to 200MB/s and 150MB/s respectively, the SanDisk Extreme Go USB 3.1 Flash Drive will enable users to transfer and share content and allows to transfer a full-length 4K movie in less than 40 seconds, and 1000 photos in less than 60 seconds. 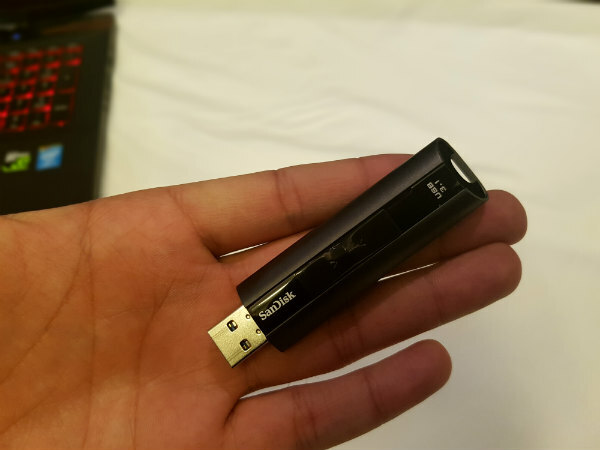 We tested the speed of the USB flash drives by transferring a file of 4GB from PC, and it took just seconds to transfer the file. The high speed and capacity of the SanDisk Extreme PRO USB 3.1 Solid State Flash Drives makes them ideal for professionals, tech enthusiasts, or anyone who creates and shares massive files. 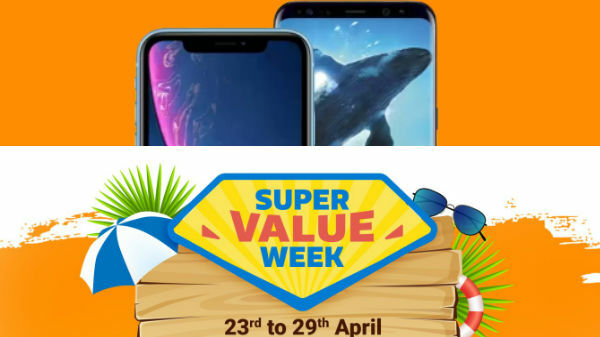 As mentioned above, these products will initially be available on Amazon and select retail outlets and subsequently rolled out to other retail partners in a phased manner. The new drives feature a durable aluminum metal casing and a retractable connector for ultimate style and reliability. The SanDisk Extreme PRO Solid State Flash Drive will be available in 256GB and 128GB storage capacity, while the SanDisk Extreme Go USB 3.1 Flash Drive will come in 128GB and 64GB capacity. For added file protection, these drives include the SanDisk SecureAcces software, which offers 128-bit file encryption and password protection. The drive also comes with a limited lifetime warranty. SanDisk 256GB Ultra microSD card is said to be world's first microSD card that meets the Application Performance Class 1 (A1) requirements from the latest SD Association's SD 5.1 specifications to deliver a better smartphone experience. The 256GB SanDisk Ultra microSD card offers the capacity and performance consumers need to capture all of life's moments without having to worry about what to delete. The card can hold up to 24 hours of Full HD video and with transfer speeds of up to 95MB/s. While the microSD card some at a steep price-point, it can prove quite beneficial for smartphone users dealing with low storage problems. 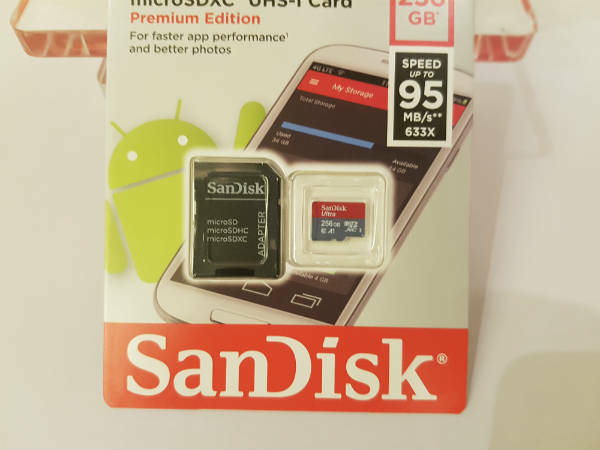 The microSD card can support application-intensive environments, means users with Android smartphones running Android Marshmallow 6 operating system can expand storage capacity on their handsets by selecting the microSD card as preferred or adoptable storage. This will allow them to load and launch apps directly from the A1 microSD card. The A1 spec allows the new card to manage random read input-output access per second (IOPS) of 1,500 and write IOPS of 500, so it can quickly open apps and process accompanying tasks, such as audio, graphics, saved profiles and in-app permissions. Besides, the new SanDisk Ultra microSD card with A1 is compatible with the SanDisk Memory Zone app for Android, giving users an easy way to manage and back up content on their device. The app is available for free through the Google Play Store.